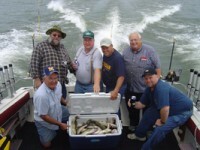 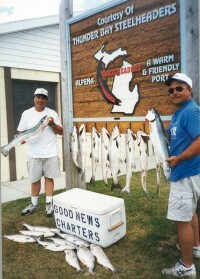 Always An Adventure Charters is a walleye chartering service on Drummond Island. 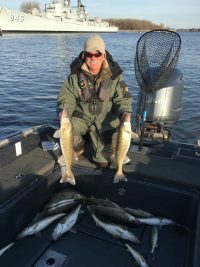 Walleye season opens May 15 and our season lasts into September. 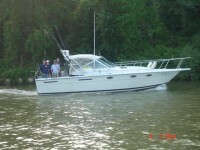 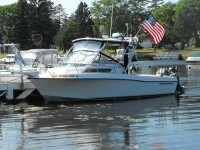 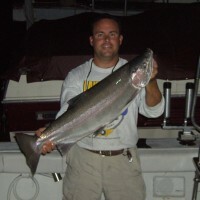 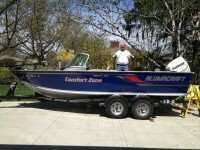 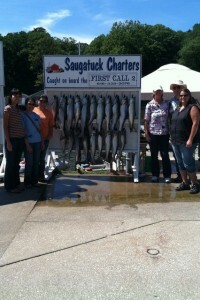 Feel free to give us a call with any questions at 616-836-9415 or check us out on Facebook @ Always An Adventure Charters. 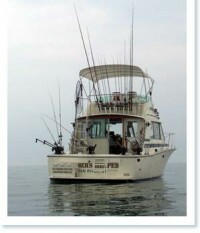 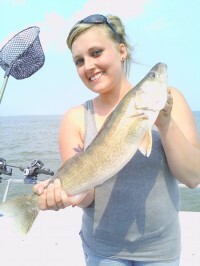 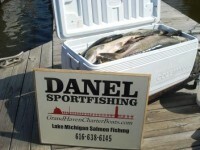 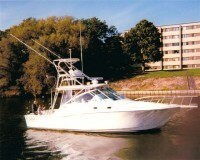 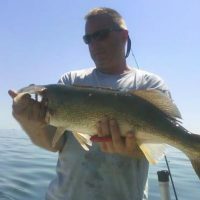 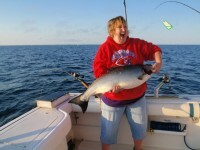 Come experience the thrill of Great Lakes Fishing at its best with Daybreak Charters. 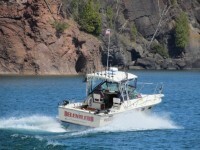 Based in Marquette Michigan. 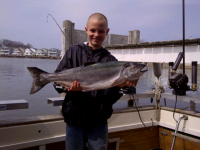 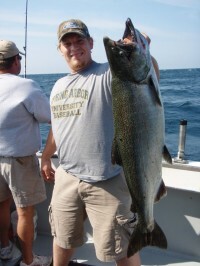 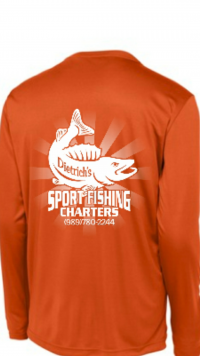 Fishing adventures include offshore fishing trips to the famous Stannard Rock for giant Lake Superior Lake Trout, also run near shore fishing trips near Marquette for a variety of species such as Lake Trout, King Salmon, Coho Salmon, Steelhead, and Brown Trout. 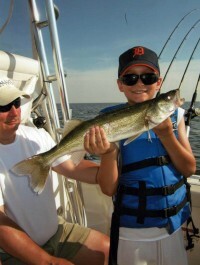 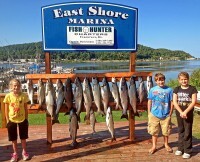 The beauty of the Marquette area surrounds you and fish are usually found within 5 miles of shore. 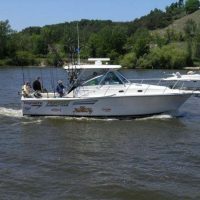 All fishing tackle and gear is provided for you with every trip and your catch will be cleaned and packaged for you when we return. 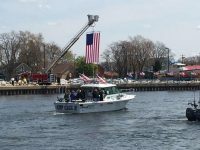 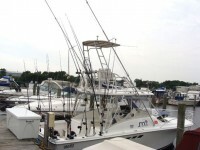 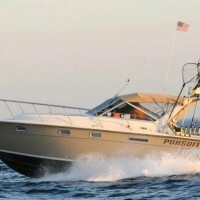 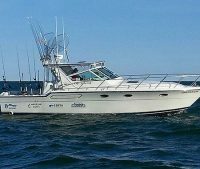 Located in Fish Town in Leland, Captain Jim Munoz is one of the longest running charter captains in the fleet. 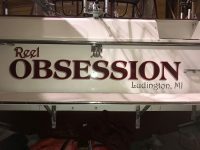 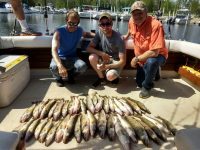 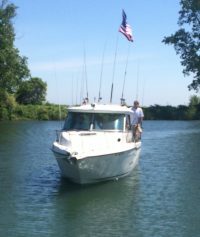 Linedancer Charters offers northwest Michigan fishing adventures for up to 6 people aboard our fully-outfitted 32’ charter boat. 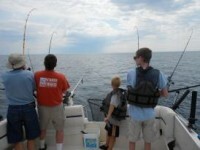 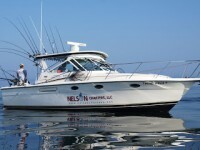 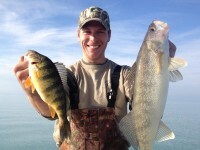 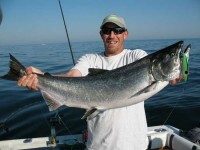 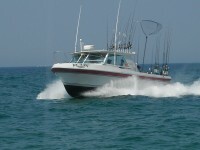 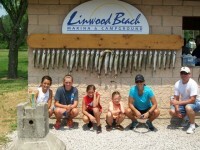 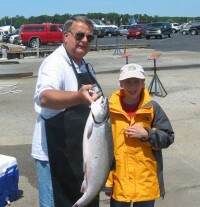 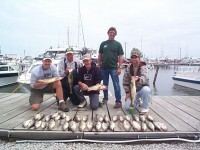 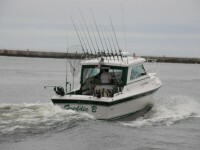 Ludington is noted for it’s Trophy Fishing and scenic water views of Lake Michigan. 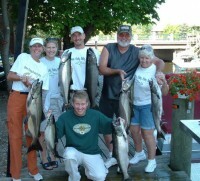 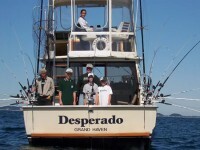 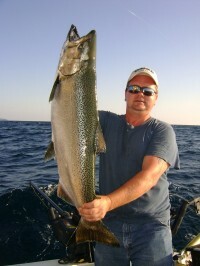 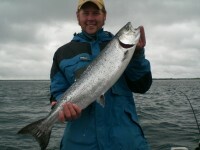 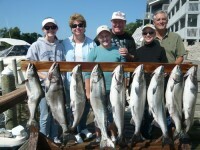 Salmon and trout fishing combination trips are our specialties! 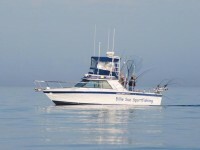 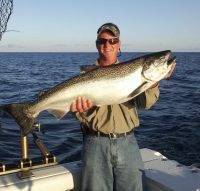 We offer an exciting offshore Steelhead trip that could take you several miles out into the beautiful Lake Michigan for some excellent deep water fishing. 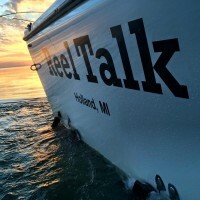 At Reel Talk Sportfishing Charters, our goal is to provide our customers with an extremely fun and exciting fishing experience on beautiful Lake Michigan!